Wilmington, NC – Aaron Alexander, a resident of Wilmington, NC, has been named partner and Lead Developer at Higher Ed digital firm College Inbound. 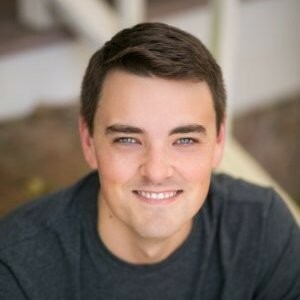 As an owner of Peloton Development Company, Alexander had been a strategic partner with the firm for the past year, concentrating in programming College Inbound’s website platform for two-year colleges. With Alexander on board, Jake Mayfield’s role will focus on systems administration of College Inbound’s Amazon Web Services hosting environment. College Inbound has been serving two-year colleges across the country since 2016. The firm offers a fully-hosted website solution based on the WordPress platform as well as video production services. Jonathan Medford and Curtis Thieman founded College Inbound after a 12 year partnership in running the full-service marketing firm Inspire Creative Studios, Inc.
For more information about College Inbound, visit collegeinbound.com.